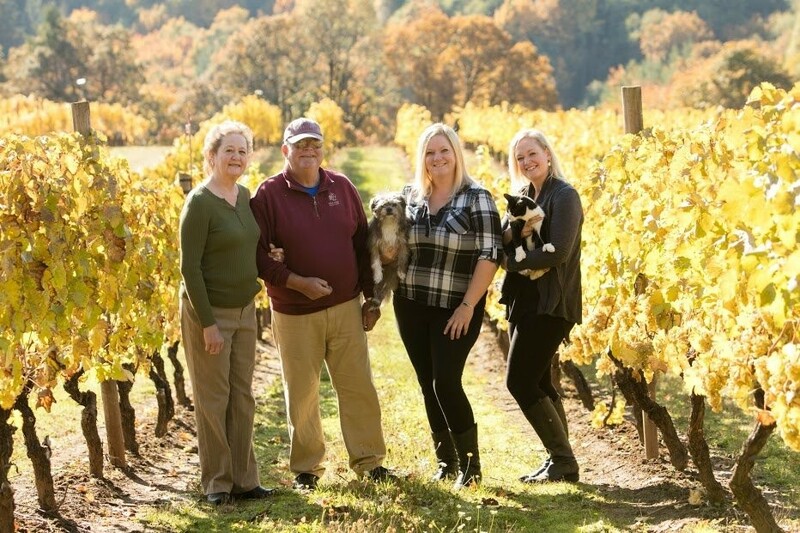 Kramer Vineyards is a two-generation family business offering delightful wines of high quality, terrific value and variety. 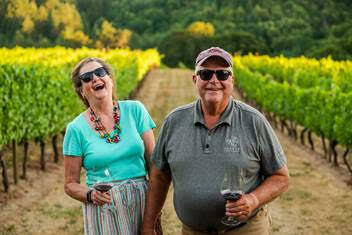 For 30 years, Keith and Trudy Kramer have been growing grapes and producing delicate wines from their 22-acre, sustainably farmed estate vineyard in the Yamhill-Carlton AVA. They serve their wines served in the charming Kramer Vineyards tasting room in Gaston, Oregon. Searching for property in the early 1980’s, Keith and Trudy focused on Yamhill County, where most of the Willamette Valley vineyards were located at the time. They saw great potential in a rambling hillside property in Gaston. The land had had been fallow for seven years, overrun with blackberry brambles, clover, wild daisies and onions. However the slope was ideal, with silty clay loam soils Peavine and Willakenzie — excellent for growing wine grapes. The original vineyard was planted in 1984, with the initial roots and cuttings taken from a neighbor’s vineyard. Over subsequent years additional acres were planted with Pinot Noir, Chardonnay, Riesling, Pinot Gris, and Müller-Thurgau varietals. Carmine, Muscat, Pinot Meunier and Grüner Veltliner. The German varietals do especially well in the Yamhill AVA micro-climate. Today, the children are actively involved. Becky Kramer is the General Manager, overseeing and managing the business as a whole. Her sister, Kim Kramer, is the family winemaker. Kim successfully made her first batch of sparkling wine in 2006, using excess Chardonnay grapes from St. Innocent Winery. Captivated by this accomplishment, she incorporated her talents to her family’s estate vineyard. Kim went abroad to Burgundy to work the 2010 harvest. That experience set the standard for Kramer Pinot Noir and Chardonnay. Her first vintages were released in 2009. Join Keith & Trudy Kramer on a voyage of discovery along four of Germany’s great rivers: the Mosel, Rhine, Main and Danube. The villages and ports are picturesque, the wine sumptuous and the scenery spectacular. Please note: This tour and cruise program is created solely for the Kramer Vineyards by our tour operator, Expanding Horizons of Tustin CA in conjunction with AmaWaterways. The pre and/or post-cruise program will contain private meals, tours and/or visits to attractions. These additional services are exclusive to guests on this cruise who book their reservations with Expanding Horizons. Persons booking with alternative travel agencies will not be included in these activities.